20 year old McKenna Veal, of Cleveland, rolled this 2004 Toyota Tundra 5 times, collided with another vehicle, and was uninjured. 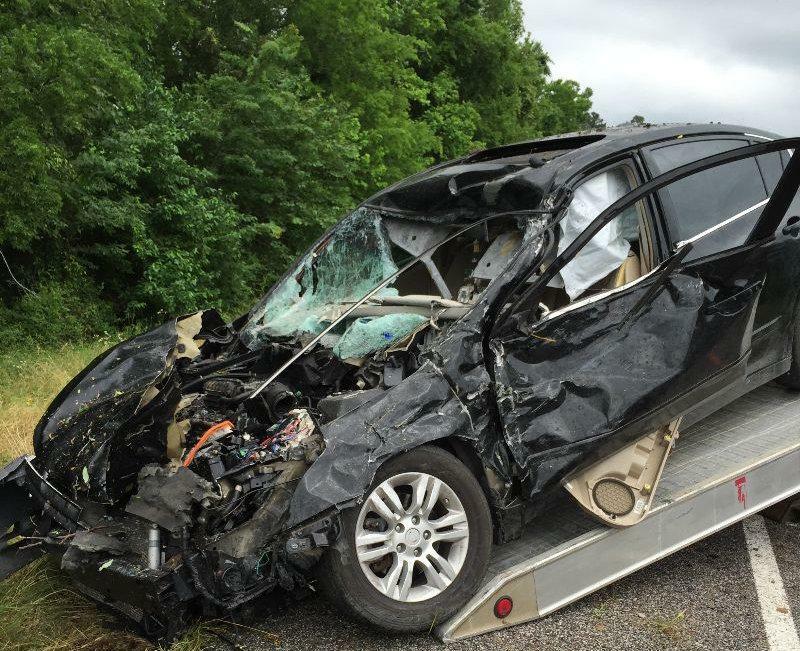 Freakish 2 Vehicle Accident Claims Onalaska Woman, LIVINGSTON, May 17, 2016 - At approximately 10:15 am on May 17, 2016, a gold 2004 Toyota Tundra, driven by McKenna Veal, 20, of Cleveland, was north-bound on US-59, just south of the Livingston City Limits (near Camp Cho Yeh exit). Veal was apparently distracted when her vehicle began to leave the pavement to the left, she over corrected right, then over corrected back to the left and began to slide sideways. 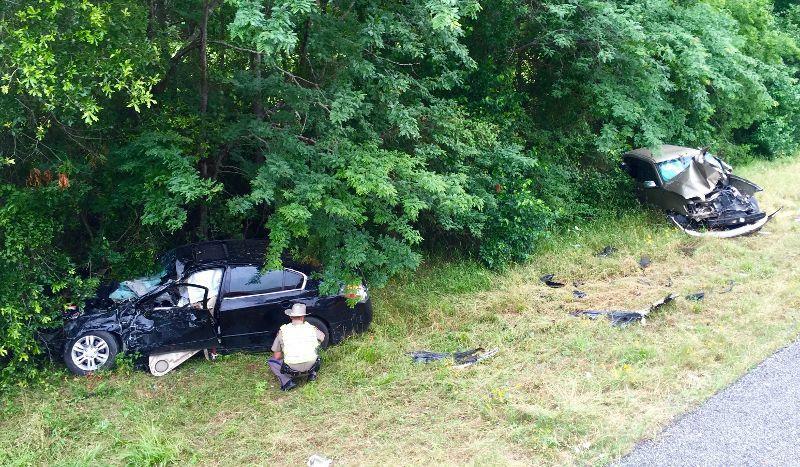 Her vehicle entered the grassy median and slid backwards through the median. 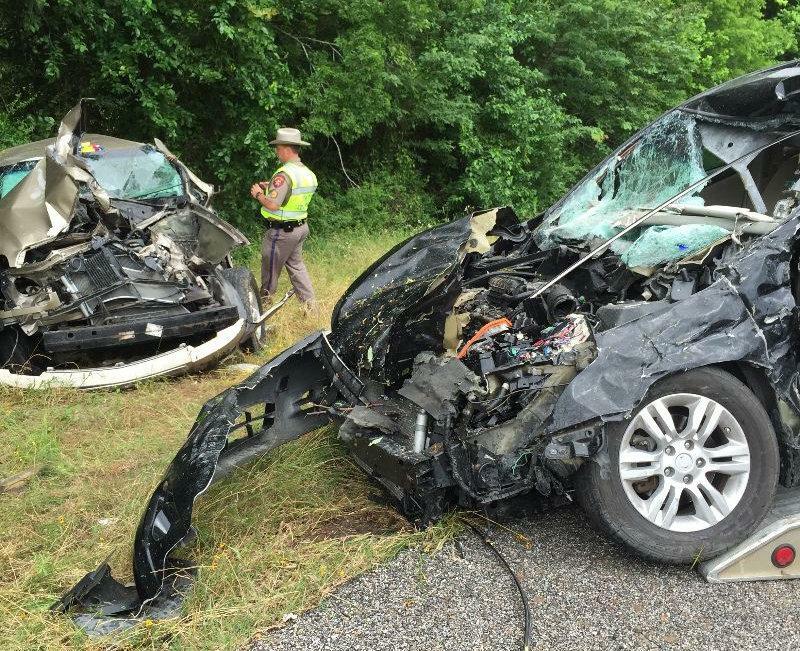 As her vehicle connected with the pavement on the south-bound side of 59, it turned over. A south-bound black 2010 Nissan Altima, driven by Tonya Brister, 50, of Onalaska slammed into Veal's vehicle (while Veal's vehicle was upside down). Both vehicles left the south-bound pavement to right and came to rest at the woodline on the south-bound side of 59. According to witnesses, Veal's vehicle rolled approximately five times. Texan EMS Ambulance Service was dispatched to the scene along with the Livingston Volunteer Fire Department Heavy Rescue Unit, Officer Scott Paske with the Livingston Police Department, Deputies from the Polk County Sheriff's Office and Troopers with the Texas Highway Patrol including Corporal Ramey Bass (primary investigator), Darwon Evans, and Sergeant Sam Lattner. Sadly, Tonya Brister was killed on impact. McKenna Veal was physically okay. Traffic on the south-bound side of 59 was partially blocked during investigation and cleanup. Justice of the Peace, Larry Whitworth performed an inquest at the scene. A first-call car from Cochran Funeral Home transported Brister from the scene. 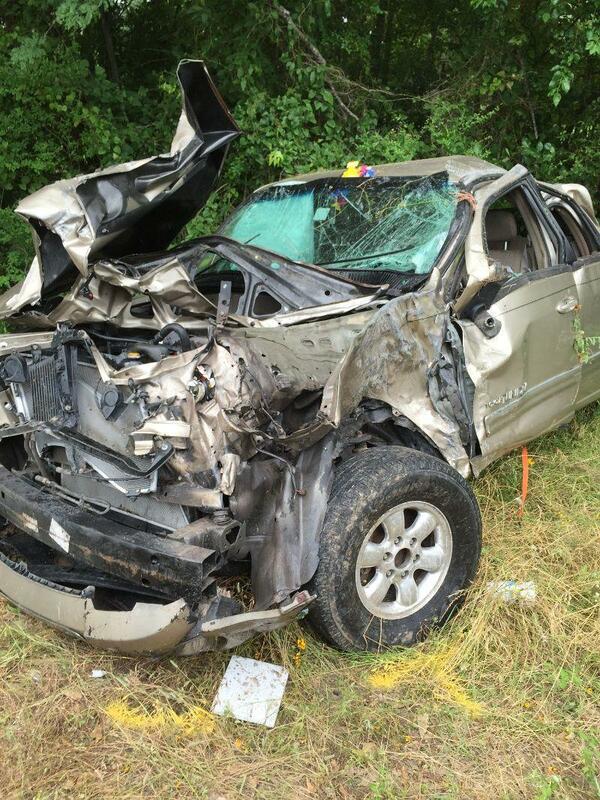 A rollback wrecker from Harrison Body Shop recovered Brister's vehicle and it will be stored in Livingston. Veal's vehicle was recovered by Fawbush Body Shop and will be stored in Goodrich. The accident remains under investigation at this time by the Texas Department of Public Safety. WARNING: The images below show scenes from a fatal automobile accident. While no blood is visible, some may find these images offensive. If any of this possibly offends you, DO NOT scroll down this page. 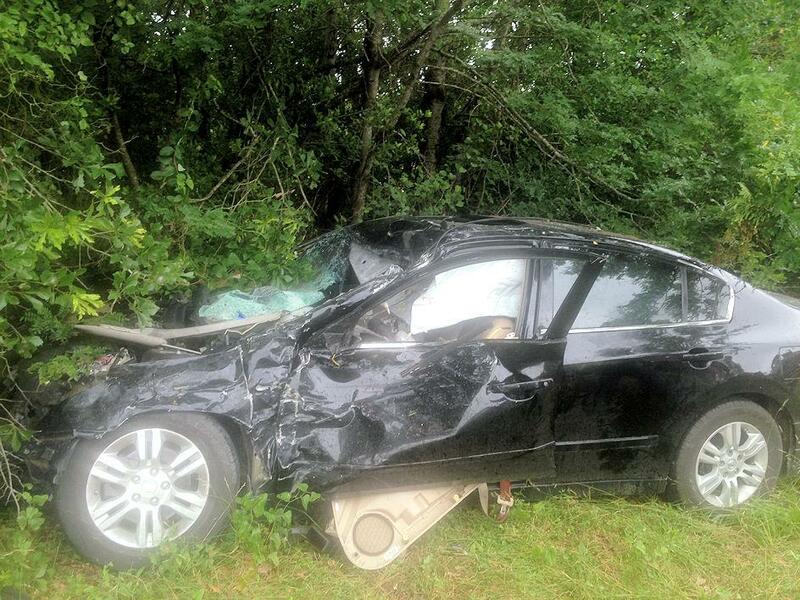 Tonya Brister's 2010 Nissan Altima impacted Veal's vehicle. Brister was killed on impact. 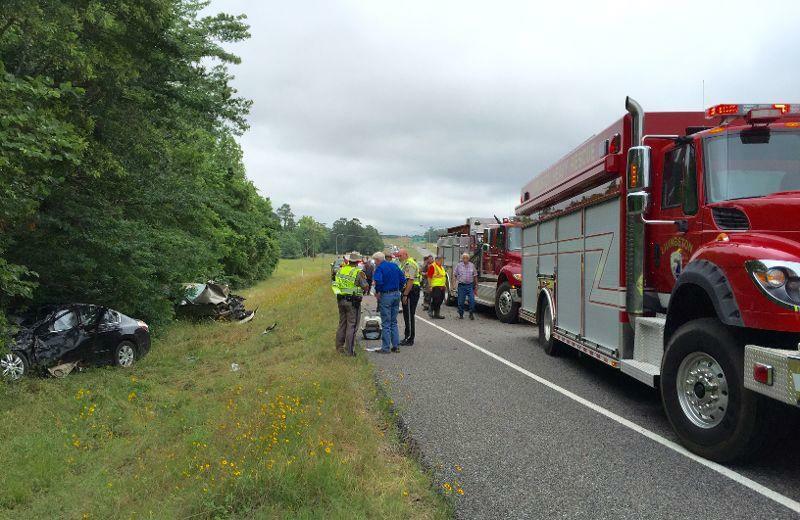 Both vehicles came to rest at the edge of the woodline on the south-bound side of 59. Justice of the Peace, Larry Whitworth (blue shirt) performed an inquest at the scene. Even though Veal's vehicle rolled at least 5 times and was impacted by another vehicle, Veal was uninjured. 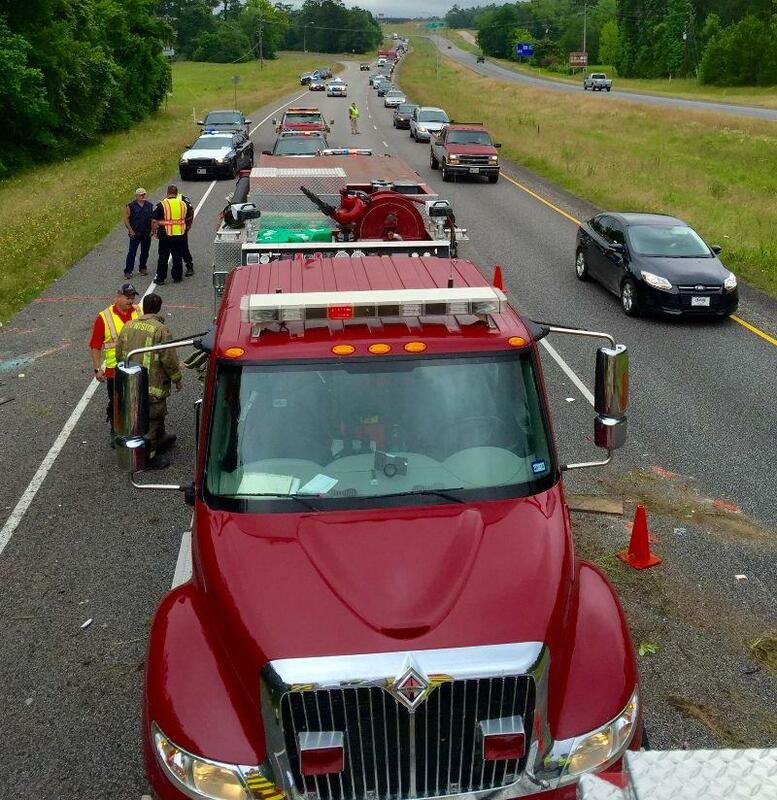 Traffic on the south-bound side of 59 was partially blocked during investigation and cleanup. Brister's vehicle was recovered by Harrison Body Shop. Vea'ls' vehicle was recovered by Fawbush Body Shop.